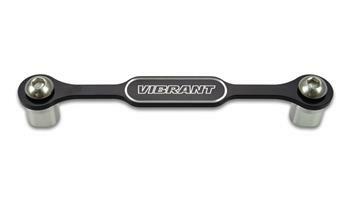 Vibrant Boost Brace Assembly UNIVERSAL - Dezod Motorsports Inc - Home of the automotive performance enthusiast since 2002. Vibrant Performance helps eliminate the risk of having your pressurized charge pipe separate from your silicone connectors with our newly redesigned T6061 Aluminum Boost Braces. Available in Vibrant Blue and Black anodized finish and with your choice of Aluminum or Stainless Steel weld dowels.